Schools are up for events and activities. Students / Colleges already start looking for their best organizational shirt or what they call the “Org Shirt” to wear on that big day that is why we start making course and career shirt that can be customize depends on the course you are taking. 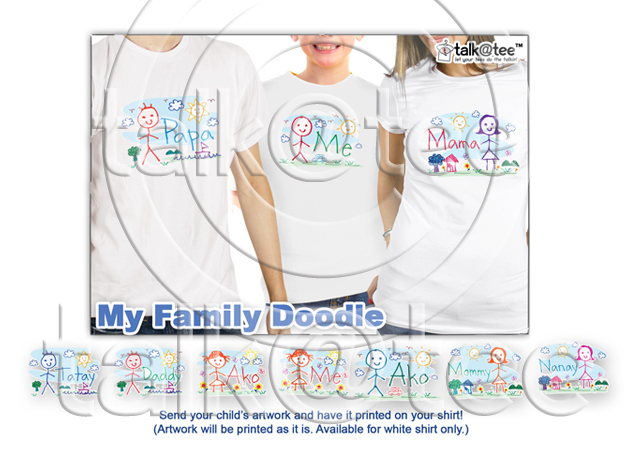 Talk@tee also carries designs for Teachers and Professionals that can be used when attending their group seminars and conventions. We are pleased that some of our previous clients chose Talk@tee shirt to be a part of their big day in school. Proud Carpet Installer order from Ms. Miles. Thanks Guys for trusting Talk@tee! 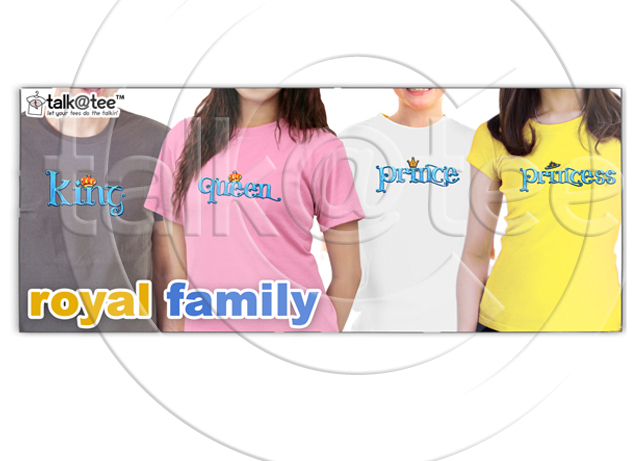 Why choose Talk@tee for your bulk orders? We also accept designs provided by client or org. Looking for a perfect gift for a special someone? Are you passionately in love? 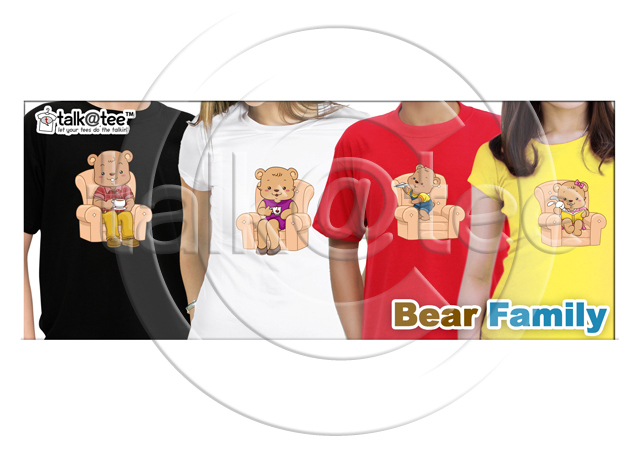 Connect with your partner in this pair of cute design couple shirt, not only for couples but you can give or gift it to your wife, husband, parents, best friend or people who are close to you. 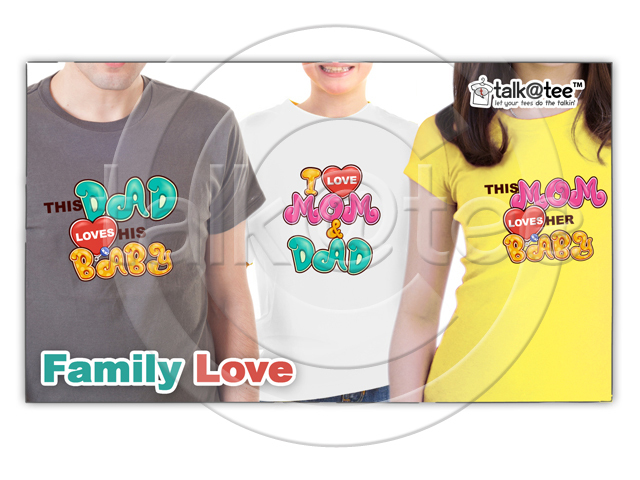 Express your love by wearing this unique design of shirt originally made from Talkatee. 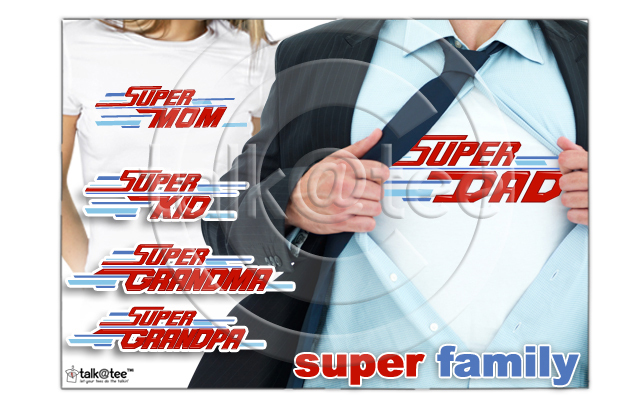 Best gift idea for your family. You can wear it on reunions, school events or on every family occasion. 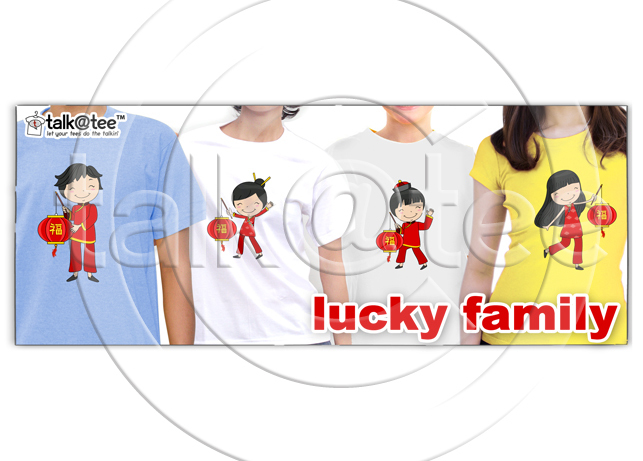 Show the coolness of your family by wearing this set of shirt. Looking for something unique to wear on your way to school? Didn’t found your course? we’ll make one for you. Do acquaint with your photographer/s. It’s good if you get to know your photographer/s more. This will bring about good rapport and easy working relationships. Be open to listen to each other’s ideas and opinions. After all, they’re the ones who are expert with this matter and they will be the ones who’ll capture your sweet moments together. Don’t choose public places. Or should we say, avoid crowded places as much as possible. Among these places are the children’s playground, city/theme parks, public resorts, etc. The reason is that it would be hard and uncomfortable for the both of you as well as the photographer to capture the romance behind the photos if there are a lot of people coming to and fro. But if you have already chosen one of these places as the venue of your photoshoot, then just avoid going there during weekends. So there, hope these tips have helped you! Enjoy and have fun! Lucena City is the one and only, first-class and highly-urbanized city in the province of Quezon. Situated in the heart of the Province of Quezon, Lucena is indeed a place of urban recreation, entertainment and business. The economic activities and businesses in Lucena City were once just centered within the poblacion, but as the city population grows, the business activities and establishments also expanded among the adjoining barangays, making the city a great prospect for different commerce. Aside from resorts, hotels, salons, spas, gyms, resto-bars, banks, fast-food chains and shopping malls, other places of interest here include the Quezon Convention Center(which has more or less 7,000 seating capacity), Alcala Sports Complex, Perez Park, Saint Ferdinand Cathedral, etc. Looking back, Lucena City has a great and colorful historical background. Tracing its history, way back the late 1500’s, when the town of Tayabas was being explored and founded, the city then, was just one of its barrios. During the 16th century, the Spaniards called the site “Buenavista” which means “beautiful view”, then in the early 1879, the name “Buenavista” was changed into “Oroquieta” in honor of the then Spanish Governor Domingo Moriones Murillo, a Marquis of Oroquieta, Spain. After a century, as the Muslim pirates or Moros begun terrorizing the Philippine coasts, the barrio of Oroquieta was not spared but rather, was constantly attacked by these pirates due to its location near the sea. Because of this, the natives of the barrio had set-up defense walls and forts on the area, therefore the barrio became known as “Cotta” which is the Spanish term for “fort”. As the years gone by, as the barrio progressed, new settlers moved in and took residence there, thus increasing the barrio’s population and development, promoting the barrio into township. Then finally on the 5th day of November, 1879, the name ‘Lucena” was officially adopted by the Orden Superior Civil in honor of Father Mariano Granja, a Franciscan priest (whose birthplace was generally believed to be in Lucena, a town in Andalucia, Spain) who established his parish in the barrio and was responsible for the barrio’s development . Then on June 1, 1882, Lucena was declared as an independent municipality of Tayabas(now Quezon Province). And as proud Lucenahins, we would like to present this very first offering from talk@tee Philippines Series, the Chami Love Couple Shirt! And as Pasayahan sa Lucena or the Pasayahan Festival is coming, talk@tee also created this Pasayahan 2012 shirt, especially made for this event! The Pasayahan Festival is a 3-day festival (May 28-30) and was first held in 1987. It is created and celebrated in honor of St. Ferdinand of Castile (Lucena City’s patron saint) and also to promote the tourism of the city. The usual highlights of the festival are: the Grand Float Parade, Flores de Mayo, the Chami cooking and eating contests, the street painting, street dancing and night market that are spread out along the streets of Quezon Avenue. If you want to know how you could get these Pasayahan shirts, just visit www.talkatee.com. Hola! It’s summertime once again and it’s getting soo hot in here! Time to get those summer outfits out of your closets and start putting them on! Oh, are you getting tired of your usual summer get-up? Why not try to customize your summer wardrobe to make it more fashionable? You can do that by adding accessories on your clothes or by adding texts or statements on your t-shirt. You can share your witty (or cheesy) pick-up lines. Like for example, you’re wearing this t-shirt design below, and then under the design, add this question, “Gusto mo ng ice cream?” (do you like ice cream) then put this on the back, “ay, natunaw na pala sa pagtitig mo…parang ako!” (oh, it melted under your gaze…just like me!) Wasn’t that a nice way to customize a shirt? And of course, you can express yourself freely! Adding customized texts on t-shirts can be a great avenue for you to express what you truly feel, especially this summer! Take this Chillax t-shirt for instance, its design and statement says a lot about summer! 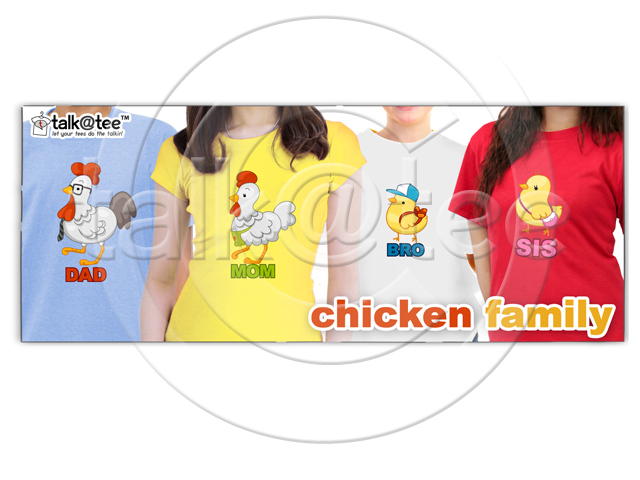 No matter what your summer fashion statement would be, it’ll be more fun with talk@tee! We can help you add spice to your t-shirt design by pressin’ on those custom texts on your shirt! For additional information on how you could add custom texts or statements on any of our talk@tee t-shirt design, or you just wanted to create your own statement shirt and you want to know how simply click here.